SG/ Cabbie's Mixture in a figural meer by Medet, with coffee and the morning paper. 4noggins' Weybridge in a figural meer by Medet, with coffee. Well aged anniversary Kake in a Savinelli 310. Sutliff 1-M in a Peterson Rustic Tankard P-lip. 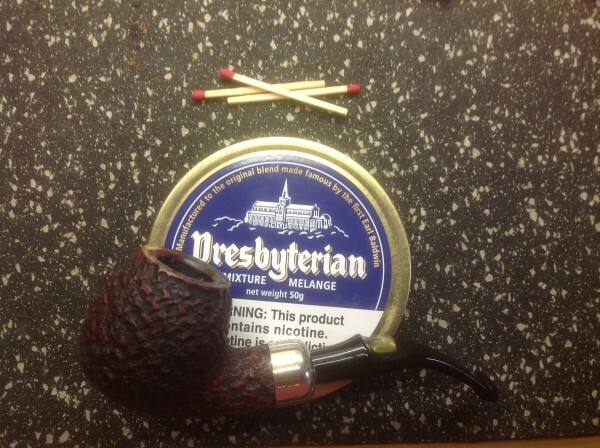 2012 Fribourg & Treyer Cut Virginia Plug in a Wayne Teipen Billiard. SG Spring Time Flake in a Dagner cob. PS #52 Proper English in a MM Morgan bent. Dunhill Early Morning Pipe in a Hanseatic Freehand w black tea. Dan TobaK Holly´s disovery in a Castello collection squat bulldog. C&D Bayou Morning in the Muhsin Volcano. 2012 Wessex Brigade Campaign Dark Flake in a Rad Davis Billiard. GH&Co Coniston Cut Plug in a Stanwell 86. G.L. Pease Blackpoint in a Rick Black churchwarden. Esoterica Dunbar in a Castello Old Antiquari 65 Kino. Carter Hall in a MM Washington Straight. Drying out some Esoterica Stonehaven for my next smoke. Penzance in a Peterson Sherlock Holmes Sylvius, vulcanite p-lip (9mm). 2014 St. James Flake in a freshly cleaned Savinelli bent brandy. 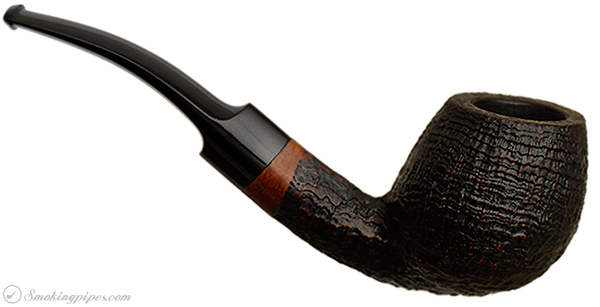 Esoterica Penzance in a Lane era Charatan Distinction Straight Grain Freehand. MacBaren Vanilla Cream in a Baglan claw and egg meer. GH Rum Flake in a Nording Queen with a St. Ambroise IPA. Germain’s Brown Flake in a Danish apple. Water. Dark birds eye in a Chris Morgan bones pokano (poker, volcano, cherrywood). I dig this shape. Vintage Syrian in a Savinelli 111KS. Esoterica Stonehaven cube cut in a Randy Wiley Patina Bent Freehand. Just finished my second pipe of the day. I took my Dunhill bent shell out for a walk with a bowl of PennHooker Green. This is a VA blend that in print is advertised as 'mint' flavored. D&R does produce a few 'aromatic' tobaccos, but they're typically very light handed with any toppings and I doubt that they case anything. 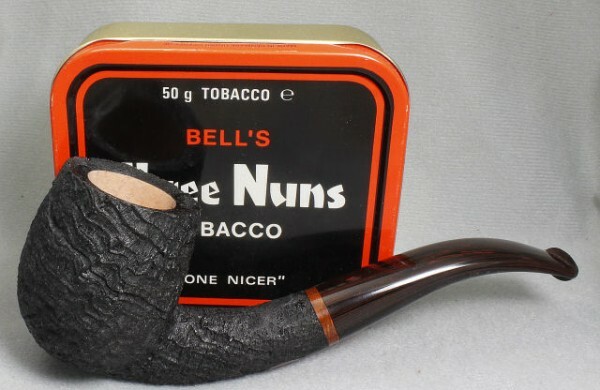 Anyway, this green was over the top mentholated when I first got it, although it still had appreciable tobacco flavor. After a few months in storage, the menthol has dissipated quite a bit, so that this blend offers less of a shock and more of a change of pace that is not at all displeasing. Newminster Round Slices in a Dagner Billiard Nose Warmer. LJ Peretti British in a smooth Rattray's Chubby Jackey in the woods and swamp (9mm). C&D Billy Budd Blonde in a figural meer by Medet, with coffee and the morning paper. 3 Blind Moose in a Butz Choquin D’Accord 4 square billiard. SG Golden Glow in a Savinelli Solaria 122 Bent Pot. Sutliff Crumble Kake Virginia Perique in a curry egg with an acrylic stem made by a friend. Crooner in a Stanwell 95. It’s been awhile since I smoked this and forgot how much this stuff expands! Maltese Falcon in a Dagner cob. 2012 Rotary Navy Cut in a Tonni Nielsen Brandy. 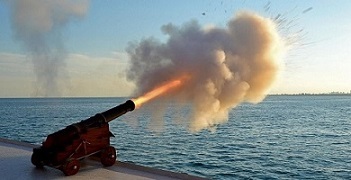 Sutliff Balkan II in a Rossi Vittoria 321 EX.